With the English Premier League football season underway, there are many predictions from team favorites to individual player performances. Among such predictions is that of the top goalscorers, one of the most popular and contested bets within this competition. Who will be awarded the Golden Boot this year? The jury is still out on that, with many debating between Mo Salah and Harry Kane, especially after last years results. To get a better idea, here is a list of the top Premier League goalscorers predictions for the 2018/2019 season. Leading the pack with the highest odds of being the top goalscorer is Mohammed Salah. The Egyptian is a player watch very closely, especially for the opponents facing Liverpool. He is fast, very skilled and outruns defenders in most cases. His fast dribbles liken to Messi style of play but his striking position gives him an advantage of netting in more goals. During the 2017/18 season, he beat previous Harry Kane’s record and awarded the Golden Boot with the associated title of the leading goalscorer in league matches. As of the last week of January 2019, Salah has scored 48 goals for Liverpool out of 56 match appearances. Salah scoring abilities are exceptional unlike some of his fellow strikers. Salah has the tendency of scoring goals in singles placing him a notch higher than strikers who depend on set pieces. He has the ability to outsmart defenders in the 8-yard box and convert to goals with ease. Salah scores 2 goals in an average of 6 matches, unlike Kane who scores the same in nine matches. This implies that Salah will always find a way to score, unlike his competitors. Jürgen Klopp is also a big influence on the goal scoring record of Salah. He has placed Salah as the starting striker in almost all of Liverpool fixtures, whether against underdogs or top teams. As at the last week of January 2019, Salah had played 22 out of the 23 premier league matches with the only exception being against Everton. 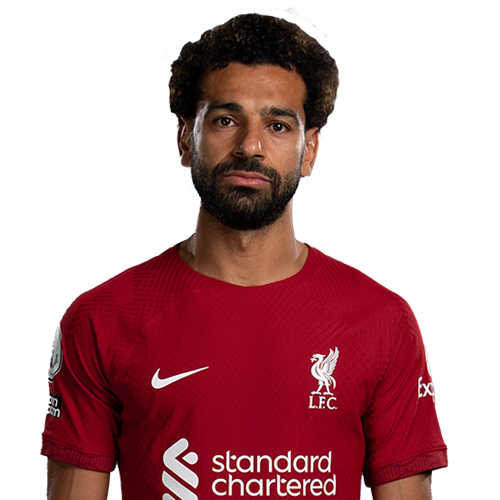 Salah’s consistency is to be admired for instance during December 2018, he scored three consecutive matches against Wolverhampton Wanderers, Newcastle United, and Arsenal. On several occasions, he has stood to be the man for the match. That form motivates a striker and pushes his thirst for goals to another level. Mohammed Salah is aged 26 which is considered the peak time for most football players. Historically the age between 25 and 28 has always been the peak time for football a player. Stars such as Maradona, Ronaldo, Ronaldinho, Cristiano Ronaldo, and Messi made news for their clubs at this age. Coincidentally Salah is at this age and he isn’t any different. He is playing for a club with a rich history of football, relatively huge financial muscle, and has already secured a contract with Liverpool till 2023. All these factors give the player the mental stability to focus on football and make a name for his club. The result is goal after goal for his team. Salah won the African player of the year title recently. That title is enough confidence for him to chase even bigger European titles such as the Ballon d’Or wherein 2018 he was a contender. The bookies have placed an 8/13 odd for him to win the title, there is a high likelihood for him to bag this title considering he is fit and hasn’t picked any serious injury so far. He is agile, he is fast and creative. Pierre-Emerick Aubameyang is famous for his bicycle kick goals and his trademark acrobatic backward flip. The professional athlete is a skillful striker with the previous experience playing in the German league. Aubameyang won the Bundesliga’s top scorer during the 2016/17 season and is not new to winning the top scorer title. The odds for him going for that title in the English premier league could be highly miscalculated considering he isn’t a newbie for this title. While team effort is important to steer his club for a trophy, his ambitions are synonymous too, and one such ambition is to carry the English top goalscorer title. Let’s find out more why this striker has such an odd for him to scoop the Golden Boot title. Aubameyang scored on his debut match on the premier league match, UEFA Europa League, League cup and the FA Cup. That gives you a hint on the kind of striking force he brings to the team. Very few strikers have achieved that record and it could push him to score more goals for his team. Also, he has been consistent since he came to Arsenal. As at the last week of January 2019, he had scored 14 goals out of a 21 match appearance. He has on several occasions the player of the match title. Such consistency is important even his coach Unai Emery is counting on Aubameyang to win the top goalscorer title. 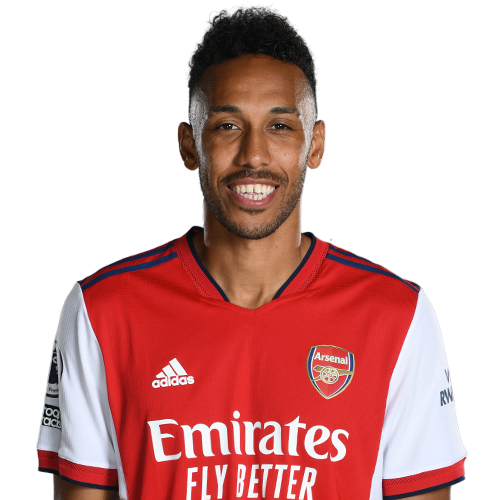 According to Unai, when Aubameyang scores more, he pushes his club closer to winning the title. Aubameyang is not under pressure considering he joined Arsenal in 2018. He comes at a time Arsenal is struggling, with their new coach trying to fix the team and have a solid foundation. Unlike a scenario where he had joined a team at its peak in terms of performance, the Gabonese striker is joining a team that is trying to find stability. This implies there isn’t too much pressure piled on the striker, therefore, giving him room to play with ease. Aubameyang striking capabilities are seen to be sharpened by their coach Emery who on several occasions has shifted him from forward-center and Left forward. The outcome has been a success and probably given the striker more chance and position in the team. From the left wing the striker has netted 3 goals and from his usual forward-center, he has netted 8 goals. This tells you the versatility of this striker and the potential threat that he poses to the opponents. The bookies have placed an odd of 3/1 for this striker to bag the Golden Boot title, as at the last week of January 2019, he was two goals behind the current top striker Mohammed Salah. Bridging the 2 goal difference requires only a hat-trick and the tables will be turned, and Aubameyang isn’t new to hat-tricks. Sergio Agüero is the icon behind the end of Manchester City trophy drought. He brought the cup to the club in 2012 by his last-minute goal and since then his striking prowess has been sharpening year after year. He is the current top striker for Manchester City and that is enough motivation for him even to chase the leading scorer title. He stands at the eighth position at the English top scorers of all time and with his recent form he is likely to close the gap between him both Robbie Fowler and Jermain Defoe. That is enough thrust for the striker to keep pushing to achieve such milestones and they can only come from scoring goals. This player’s goal-scoring success at the moment is contributed by his team. He is playing in a team that is attributed to possession type of football. With such a football approach which is seen as a result of Pep Guardiola style of play, there is a huge success from this style of play. The result if dominance over the ball and goal scoring opportunities. Had he joined a team which is not concerned about ball possession the results would be less likely the same. Possession style of ball has high goal scoring conversion, unlike defensive style. With such in style of play in place, you would expect Agüero to easily convert more goals just like what he has been doing before but this time a little easier. Manchester City is a team known to thrash teams scores above 3 goals. In January 2019 they have scored over 30 goals, which means they have quality midfielders and generally the whole team is at its best. For instance, Agüero plays alongside midfielders Kevin De Bruyne and David Silva. These are top known midfielders who are known to feed strikers with good striking balls. Playing alongside such Midfielders means that Agüero will have a relatively easier job converting the passes to goals, and not one as it is the norm of the team. Another angle to look at it, Agüero plays the traditional positional nine and not the blind 9. The top strikers who have played this position before have been known to score goals- for instance, the Brazilian Ronaldo and Samuel Etoo. The real position 9 is known to cause problems to the defenders, they know the player will not dodge and will confront them. On the flip side, the defenders too have an easy job passing the ball with much ease to the striker. 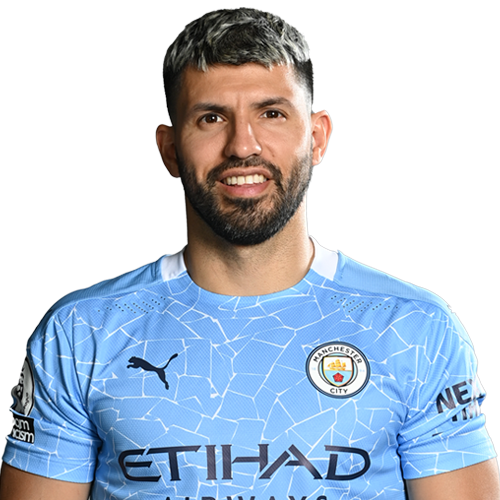 Agüero currently plays the position 9 that is a strategic position for him even to score more goals and contend for the premier league top goalscorer title. The current form of Manchester city is hard to break. The coach is giving almost all his players chance to showcase their skills. Each position is competitive with an easy possible substitute for each position. Agüero is likely to have been placed such an odd because of such condition 7/1, however, the same difficult could be used by the star to be competitive and be awarded the Golden Boot. Harry Kane has had a bad season so far with two injuries he has pulled as at January 2019. The season started without him scoring goals and in January 2019 he picked injury when playing against Manchester United. The team has said his possible return date is March. However, you would greatly underestimate this forward whose goal-scoring ability is to be admired. The athlete is 25 years old and from the previous experience with strikers and other players at this age, they show exemplary performance. Kane has been shining and more particularly in his recent years under coach Pochettino. The coach is known to tap talent and exploit talent and under the current age of Kane, the striker is likely to cause more troubles to goalkeepers and bag in more goals. Harry Kane is the current captain of the England national team and his current club Tottenham Hotspur F.C. He is entrusted with the captain armband because of his influence to the team and other attributes. With such titles under him, the captain is expected to deliver to the team unlike where he was an ordinary player. As a top tier footballer, he has won the Golden Boot award during the 2016/17 season and lost it to Mohammed Salah the following season. Salah at the moment is ahead of him with only two goals. This could be a top scorer competition brewing and will most likely make the position competitive. The two stars are in two top teams and are all chasing a similar award. The competition between the strikers will only be settled by the striker who nets in more goals. Harry Kane managed to score more goals than any other player during the FIFA World cup 2018 tournament. Bagging the leading goalscorer title at such a world competitive tournament means a lot and could have inspired confidence to the striker to score even more goals for his current club. Footballers get much glory and their market value increases when they bag more awards in a competitive fashion. Currently, Harry Kane is playing for his team Tottenham Hotspur F.C. at a time where they are much closer winning the premier league title than the previous five years. His goal scoring capabilities will be required to make the dream of the club even more vivid. 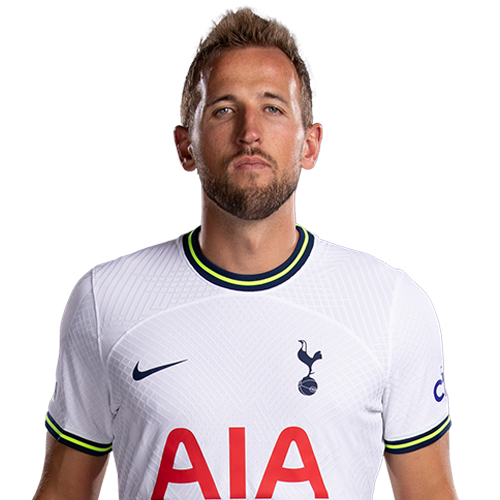 Despite his team having a strong forward, he knows he is the main man that his team counts on for them to outscore their opponents and with such mentality when playing Harry Kane is likely to push for more goal scoring opportunities. On the flipside, the bookies have a price of 14/1 for him to scoop the Golden Boot. This isn’t a miscalculated price considering the whole of February 2019 he will be out due to injury. Such a price is tempting considering the striker is the first choice when it comes to penalties and he is known to score braces and even hat-tricks. Who Are The Favourites to Win The 2018 World Cup? Copyright © 2019 Extra Footie.